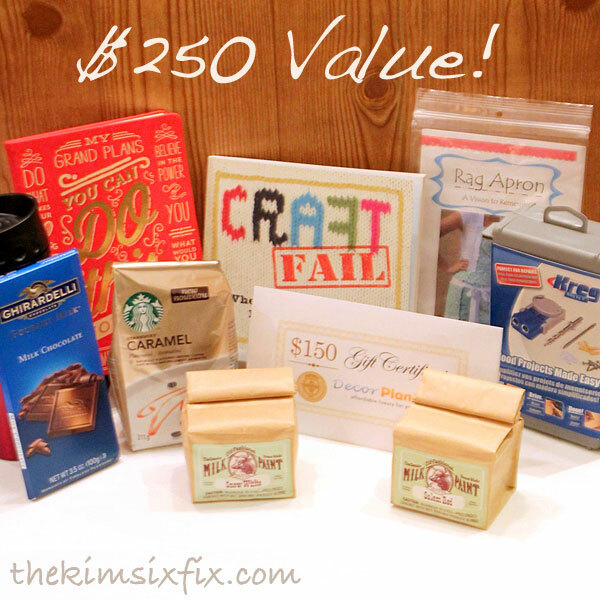 I am so excited to be doing my first ever "Favorite Things" Giveaway. Not a sponsored giveaway, but a bunch of things I specifically went out and got because I love them and I want YOU to have them too. So what am I loving so much right now I just had to give it away? Let's kick it off with my love off all things DIY and Power tool related. 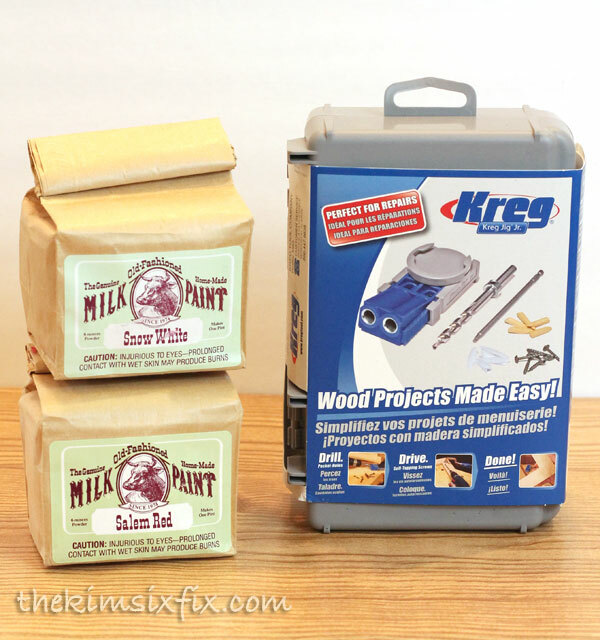 How about a Kreg Jig Junior and some Old Fashioned Milk Paint? With this jig you can drill pocket holes to create tons of projects (here is an inspiration gallery to get your started.) The milk paint (in Salem Red and Snow White) is perfect to finish it off! If you have never heard of milk paint, it is amazing stuff. It gives you a beautiful flat finish and it is great for kids furniture since it is completely NON TOXIC! 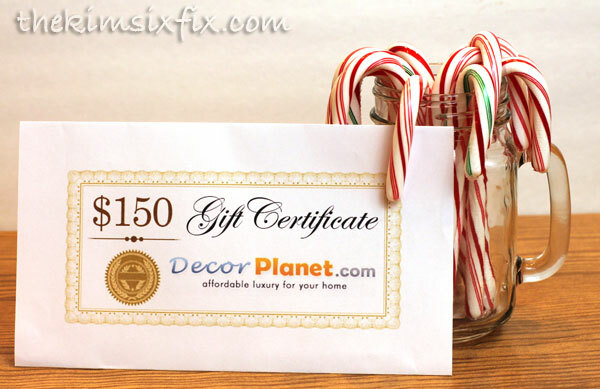 And if that isn't enough for the DIY'r I'm also including a $150 gift certificate to DecorPlanet.com where you can pick out anything you need to update a bathroom. If you need ideas on how to spend it, I have an entire post dedicated to Finding Your Bathroom Style which is a great place to start! 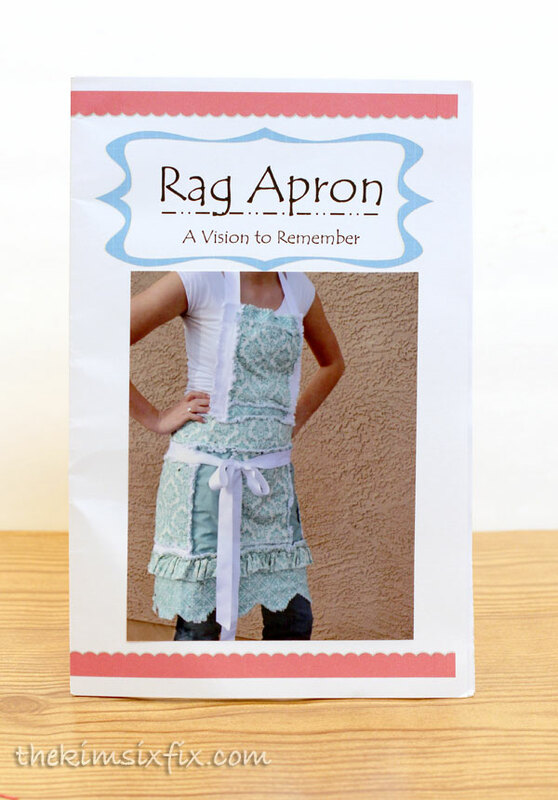 Now, for all you crafters out there, I am also including a darling pattern for a "Raggy" Flannel Apron. I have made a lot of those frayed flannel quilts, and this is a great alternative to a whole quilt. My blogger friend Bobbi, from A Vision To Remember designs these patterns and she has an entire Etsy shop full of wonderful designs. Even if you don't win, you can find this pattern and many more over there! 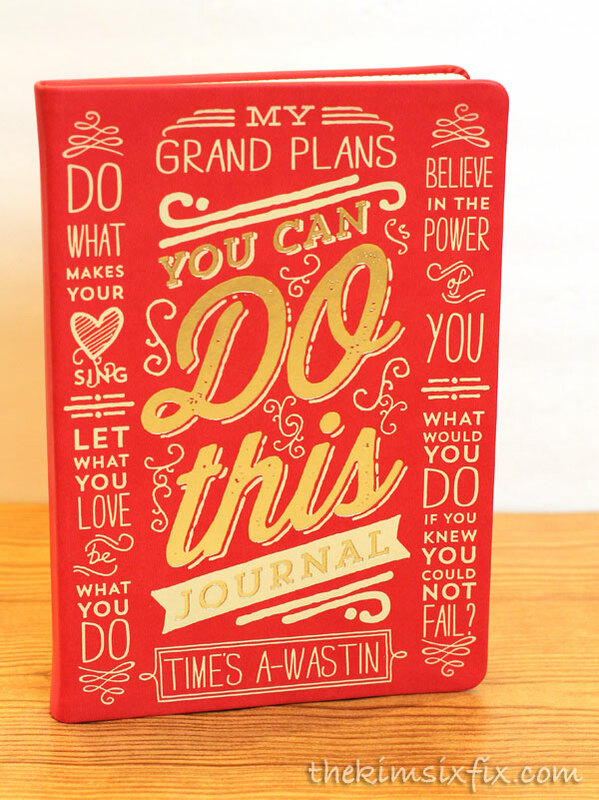 To keep track of all these new projects, I've also included this FABULOUS leather embossed journal. I fell in love with it when I saw it at the stationary shop because the front of it is so true. YOU CAN DO THIS.. whatever it is. "Let what you love be what you do"
"Believe in the power of you"
All messages I think we all could hear more of! And, since you all know I am a goof-ball, I had to include some comic relief in my giveaway. 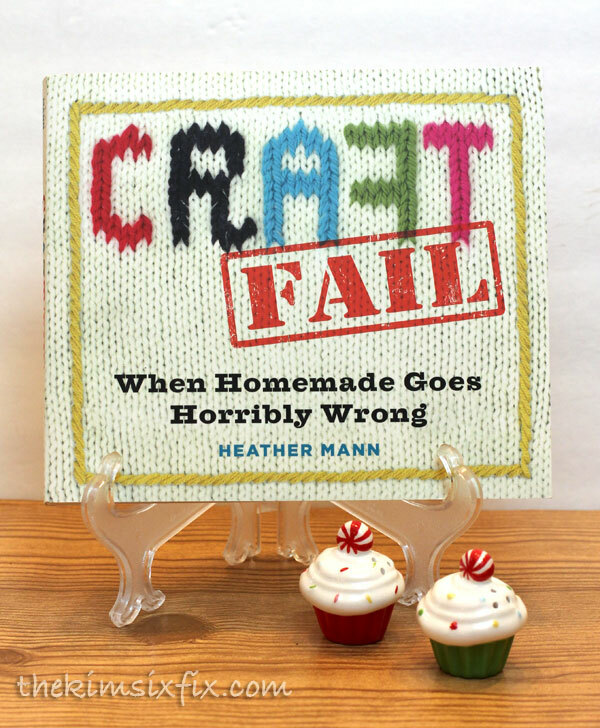 For a few laughs, you need to thumb through fellow blogger Heather Mann's new book CraftFAIL. It is hee-lar-ious. We have all been there, that is probably why I like it so much. 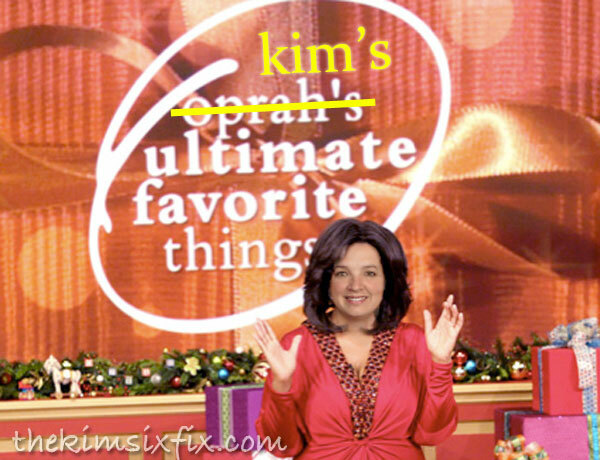 And lastly, what gift basket from KIM SIX would be complete without Starbucks and chocolate? 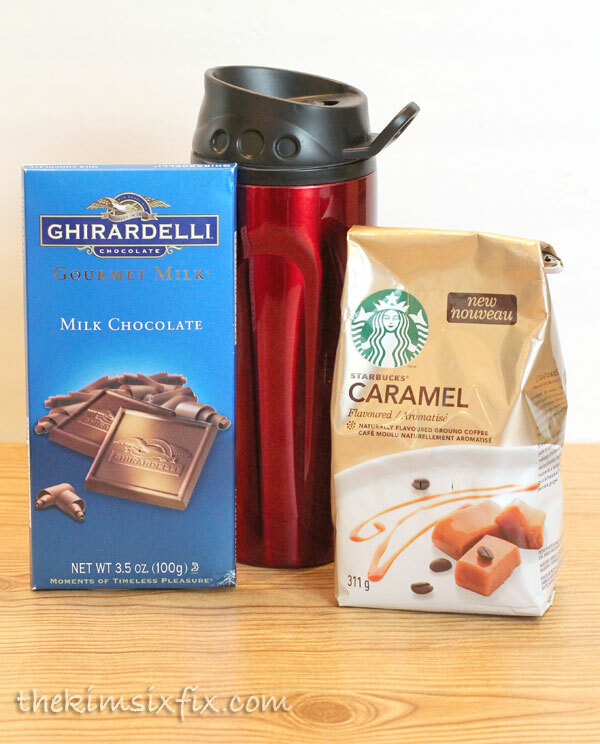 My favorite flavor, caramel and (as a shout out to my home of San Francisco) Ghirardelli milk chocolate! I'm also throwing in an insulated tumbler which I will PERSONALIZE for you! Yes.. I recently fell in love with this logo knockoff recently.. and it would probably be what I would pick! 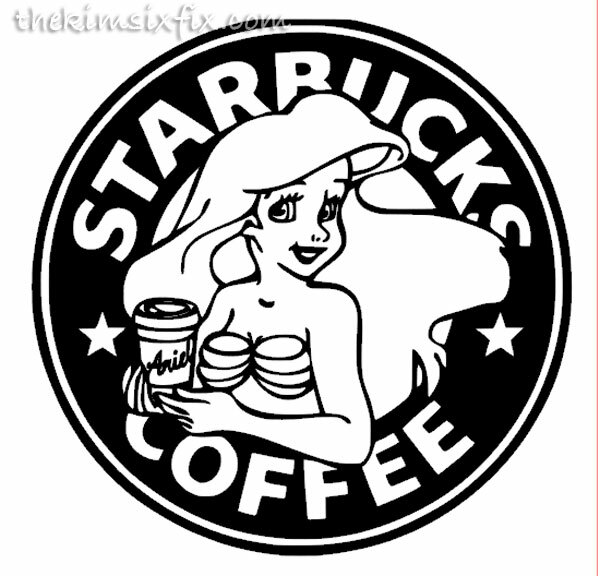 But if you aren't a fan of Ariel, you can choose something else! 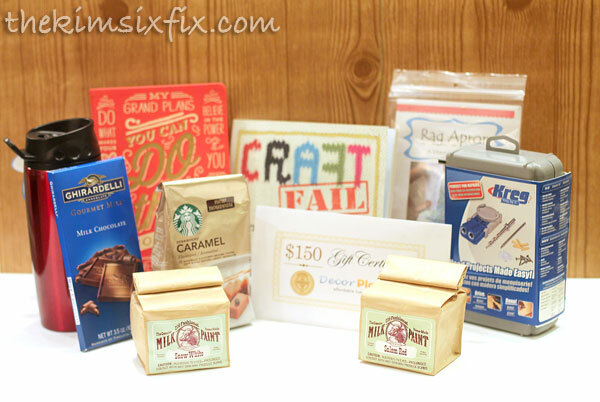 Now for the fine print: This giveaway is open to US and international residents, but because of regulations when sending paint/food internationally and the cost of shipping, I am instead giving a $50 Visa Gift card to any winner not in the lower 48 states. (In the interest of fairness, if you are American you can opt for the gift card as well!) The giveaway runs until Dec. 15 at 11:59 PM EST. And once you have entered, make sure you go to visit these other bloggers on the tour! 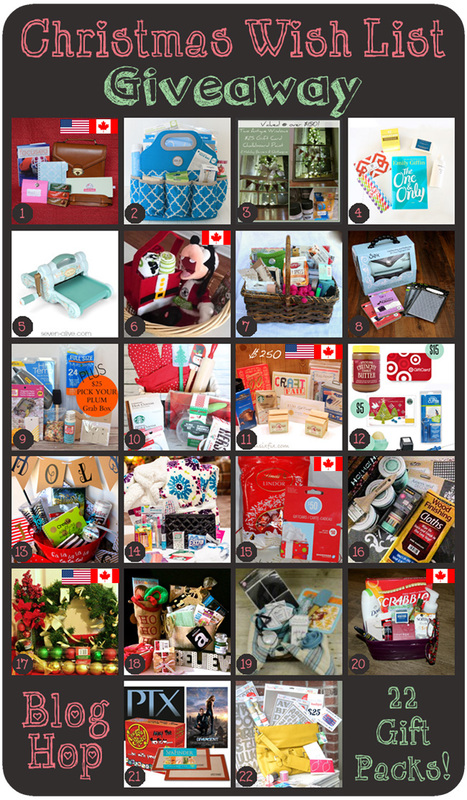 Giveaways open to Canada will have a little Canadian flag in the top corner of their image (above). If there is also an American flag that means that giveaway is open to both countries. Most of the giveaways are open to the U.S. only (no flag on image).